"Meghan expressed the desire to wear something simple and classy and very elegant"
With just four months to go, major details have emerged regarding Prince Harry and Meghan Markle's royal wedding. First and foremost, the "Suits" actress has picked her wedding dress designer. A royal insider confirmed to E! 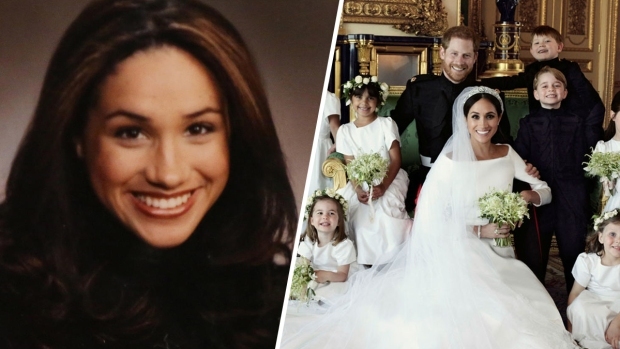 News that Markle enlisted the help of her bestie and Canadian bridal stylist Jessica Mulroney to help her with the process of picking the right gown. "This was Meghan's first fitting with the designer and a chance for her and Jessica to look through a number of different designs," the insider tells E!, noting the fitting was top-secret and the designer is only known by about five people. "During the appointment, Meghan was able to narrow down what she liked and disliked," the source explained. "Some of their favorite design elements includes embroidery and sleeves." In fact, royal reporter Omid Scobie told "Good Morning America," "Meghan expressed the desire to wear something simple and classy and very elegant. They've tried on a number of different designs and are currently whittling it down to pick the best design for the day." And Prince Harry has made sure to give his soon-to-be wife plenty of space as she picks her dress. "Harry made himself scarce, giving the girls plenty of private time to kind of have their meetings with the designers and, of course, choose other wedding elements," the insider said. "Harry's kind of made it clear that he wants to make this about Meghan." But Mulroney time with Markle has been spent on more than just her dress. Meghan Markle attended the traditional Christmas service at St. Mary Magdalene Church with members of the British royal family. It is the first time a royal fiancee has been invited to Christmas celebrations. "Jessica Mulroney has a rich history when it comes to...wedding planning and bridal styling," Scobie explained. "It's not just the dress she's involved in. She's actually helping with a number of elements for the big day and I think Meghan is really relying heavily on her expertise and a lot of the decision she has to make, and there are many." In fact, the royal reporter says Mulroney's daughter, Ivy, will be the flower girl in the wedding. Prince William and Kate Middleton's daughter, Princess Charlotte, is also reportedly set to be a flower girl, while their son, Prince George, will be a page boy. As for the guests, "GMA" reports the high-profile list could include: Barack Obama and Michelle Obama, Canadian Prime Minister Justin Trudeau and first lady Sophie Gregoire Trudeau as well as some of Markle's celebrity friends like Priyanka Chopra, designer Misha Nonoo and tennis star Serena Williams. Prince Harry has also reportedly put Ed Sheeran at the top of his list to perform at the wedding after-party. 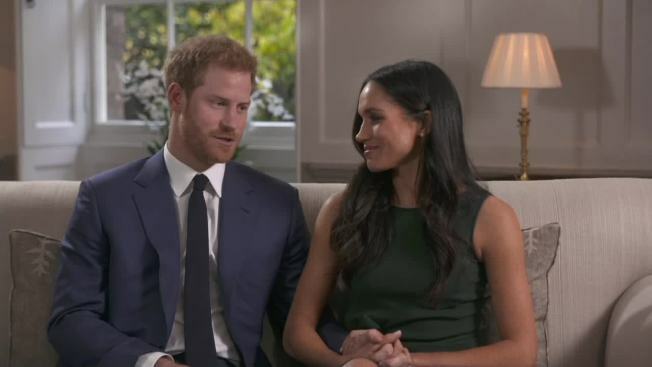 Prince Harry and Markle are set to wed on May 19, at St George's Chapel at Windsor Castle.